This was a popular meme around Halloween. As Halloween ends, Christmas begins. Well, for children’s entertainers, that’s pretty much true. Last Sunday, I finished my last Halloween show of 2018 and packed away my props for the year. And on Monday I dived into the Magic Room and took out the props I’ll be using for my Christmas shows. And not before time. My last Halloween show was on 4 November; my first Christmas show is on 1 December. Just 26 days to rehearse and refine my Magic of Christmas 2018 show. Are the months getting shorter? Each year I put together a brand new Christmas show. I’m not one to roll out the same old tricks year after year. So this year’s show will be entirely different from last year’s – and the year before’s. This year’s show will feature the North Pole (yes, the real North Pole, I promise! 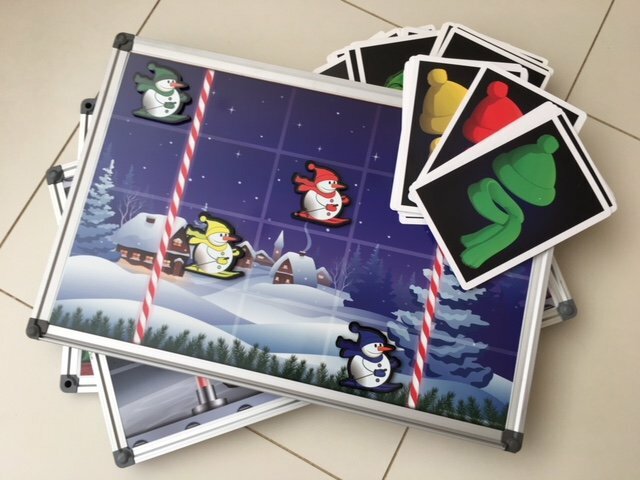 ), Santa’s official Naughty or Nice List, an idea for magically recycling Christmas wrapping paper, Santa’s elves, the ‘Elf Transporter’ and Tommy the Toucan, who’s invited his family over for Christmas. The show finishes, as always, with racing snowmen – and why not! From beginning to end, it is full of the elements of a fantastic Christmas – Santa, Rudolph, the North Pole, elves, Christmas trees, snowmen – everything to get the kids in the festive spirit. My diary is pretty full. 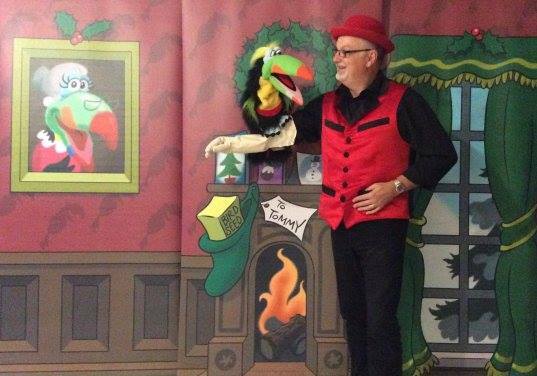 The last week of school is booked solid with school shows, but I do still have spaces for shows on Saturday 22 and Sunday 23 December. So if you still haven’t booked your entertainment or if your entertainer has let you down (sadly, as in all industries, we do have our cowboys), drop me an email or give me a call and I’ll do my best to squeeze you in. I may not post a blog again before Christmas – it’ll be a busy few weeks – so can I thank everyone who has asked me to perform for them. I’ve had a fantastic year, and I’ve had huge amounts of fun performing for you. And if I don’t speak to you before, can I wish you, your family and friends a very merry Christmas and a happy, peaceful and prosperous New Year.